Laura Meyer. You have won BOTH The Okee Dokee Brothers-Take It Outside and Poochamungas-Mud, Mommies and Mayhem. Laura and her kids, Millie and Jasek, like to rock out to Little Miss Ann, Pinkalicious Soundtrack, Annie Soundtrack. 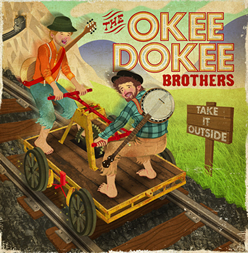 Check out The Okee Dokee Brothers website for videos, songs, tour dates, rave reviews, multiple awards and more. We're running a bit behind, but we'll have a full review of their award winning CD and live show footage up as soon as possible. We saw them at Beat Kitchen in January and they were fantastic! Check out The Poochamungas MySpace page for free tunes, tour dates, and more. We'll have a full review of their NAPPA award winning CD, an interview, and live show footage up as soon as possible. We also saw them in January at Beat Kitchen and they put on a good show. I've always been a sucker for saxaphone. Several band members are firemen by day and rock out for fun. We'll tell you in our review, how these philanthropic, dog lovin' musicians are turning their passion to profits for the firemen's fund. 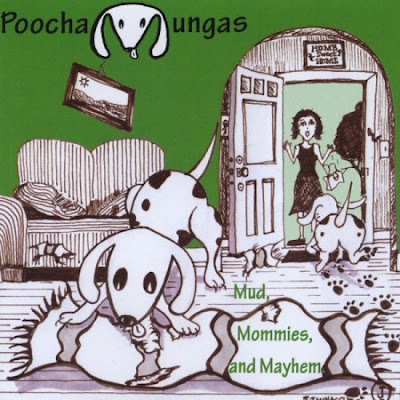 Mud, Mommies and Mayhem has won a National Parenting Publications Award. Music for kids that the whole family can enjoy.